Schwinn 430 Vs. 470 Elliptical Cross Trainer Comparison: Schwinn is a leader in lower cost, high quality elliptical trainers. 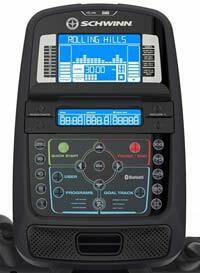 The Schwinn 430 and 470 elliptical machines are some of the most popular and best selling ellipticals on the market. Highly rated, they both are excellent elliptical cross trainers for the home. 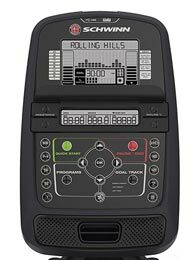 The 470 model has many features that the 430 does not. Below is a comparison chart of the differences between the two models. * Max Weight: 300 lbs. 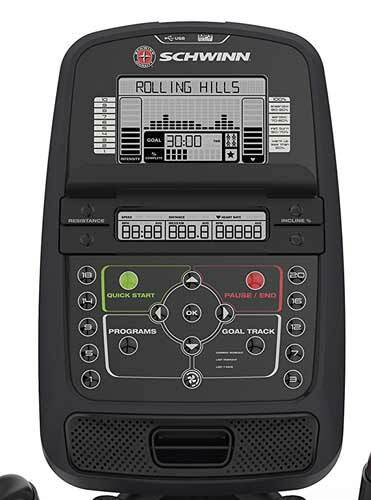 Schwinn 430 vs. 470 Console Comparison: The Consoles are similar, but the 470 is backlit, making it easier to read. Both are dual displays, so when you use the tablet/book holder, you can still see the other display. On the 470 you have 7 more workout programs. The 470 has motorized incline, the 430 has to be manually adjusted. The Schwinn 470 Elliptical has 5 more resistance levels than the 430. You can customize your user profile, the 430 allows 2 profiles, while the 470 allows 4 profiles. Bluetooth with APP for your tablet or smartphone, is only available on the 470. Wireless heart telemetry is also only available on the Schwinn 470. 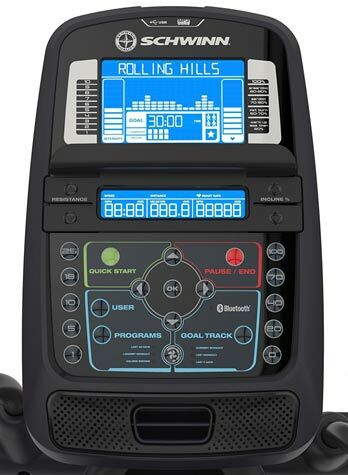 Bottom Line: The 470 elliptical for about $150 more offers a wide array of improvements over the 430 model, including more resistance levels, programs, and user profiles. Motorized incline, and a backlit screen. You also get Bluetooth on the 470 with an APP, and wireless telemetry for an optional heart strap. We feel that this is the best value for the money. 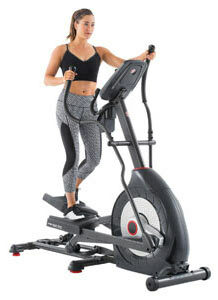 Both models are highly rated, and the Schwinn 470 elliptical has won our BEST of 2019 Award.